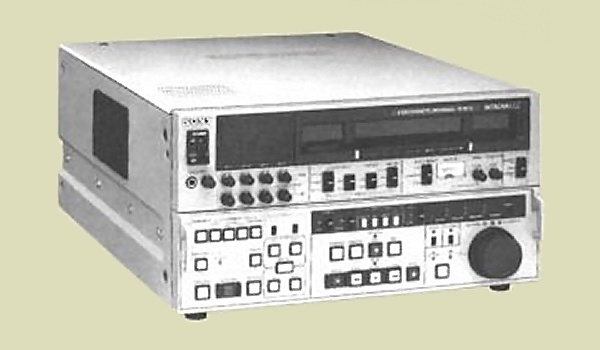 The BVW-70 is an edit master recorder/player. It incorporates four channels of FM (hi-fi) audio. VITC (Vertical Interval Time Code) allows accurate timecode reproduction at all times. The internal construction uses plug-in cards and makes maintenance and set-up access easy and a fully featured JOG/Shuttle edit wheel is available on the pullout sloping front panel to enable edit control of the local or a remote VTR.